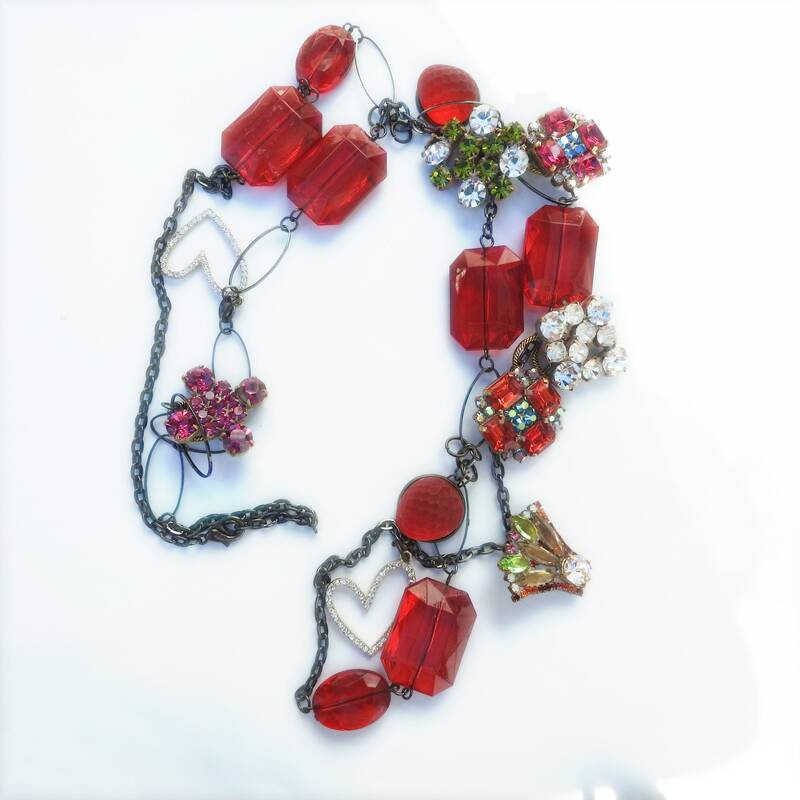 Unique Red upcycled jewelry statement necklace with strawberry and heart. 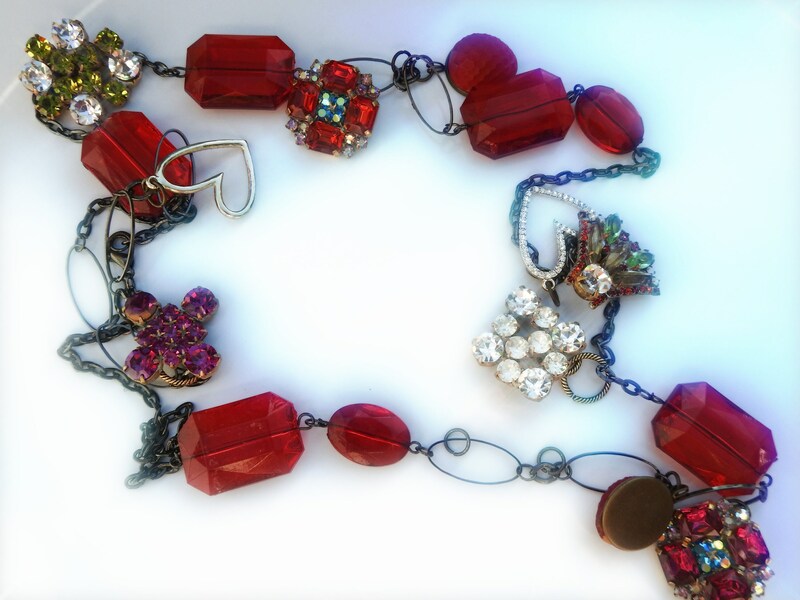 Your boho jewelry box is incomplete without this eye-catching unique red upcycled jewelry statement necklace. 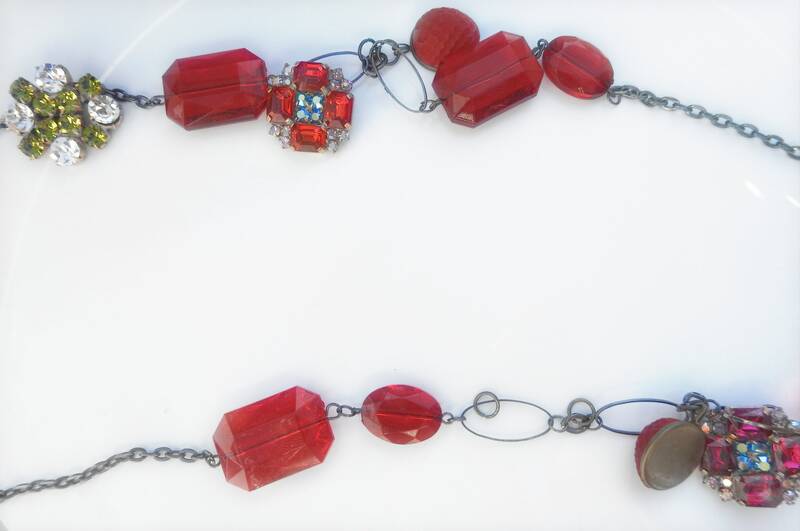 I love this red charm necklace for its vintage jewelry European button made with brilliant rhinestone. 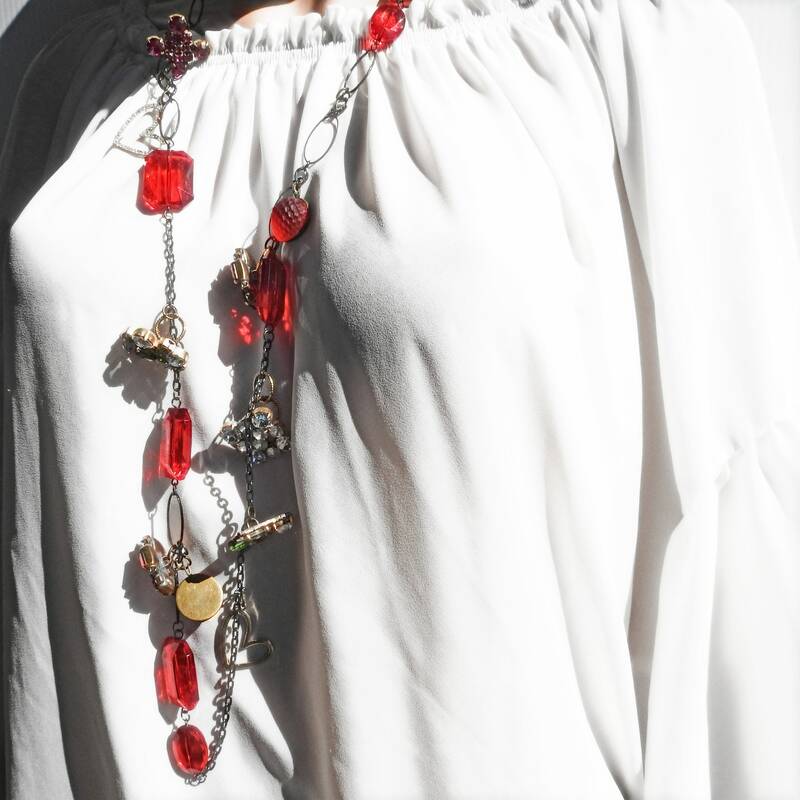 Searching for some very special unique gifts jewelry? 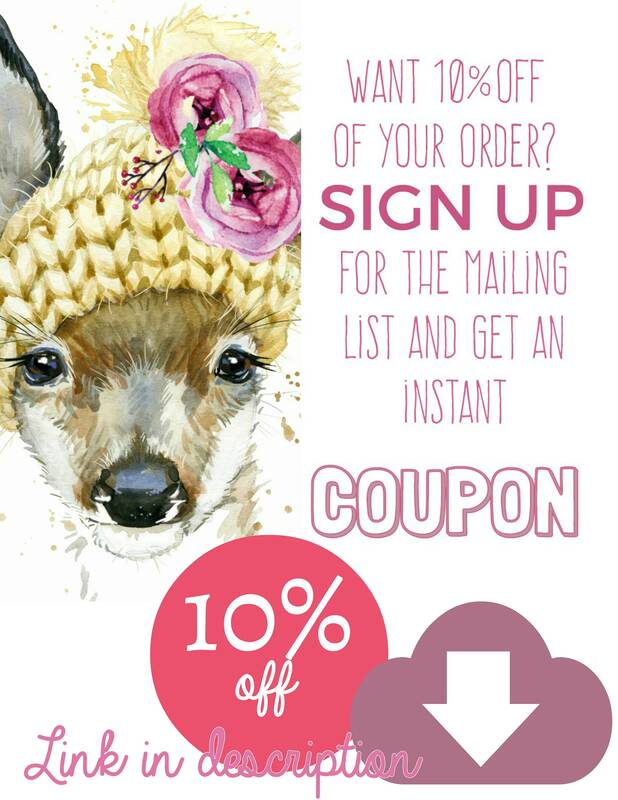 Don't look any further! 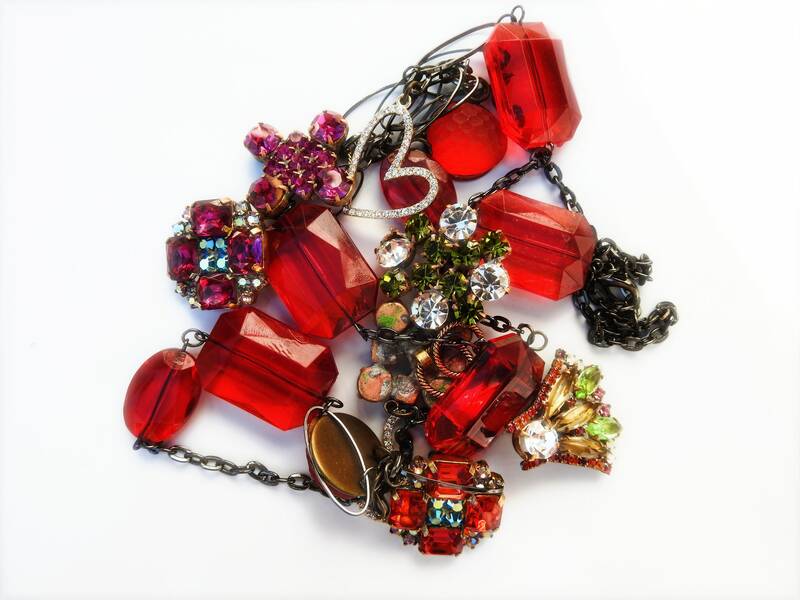 You will love this vintage jewelry necklace. 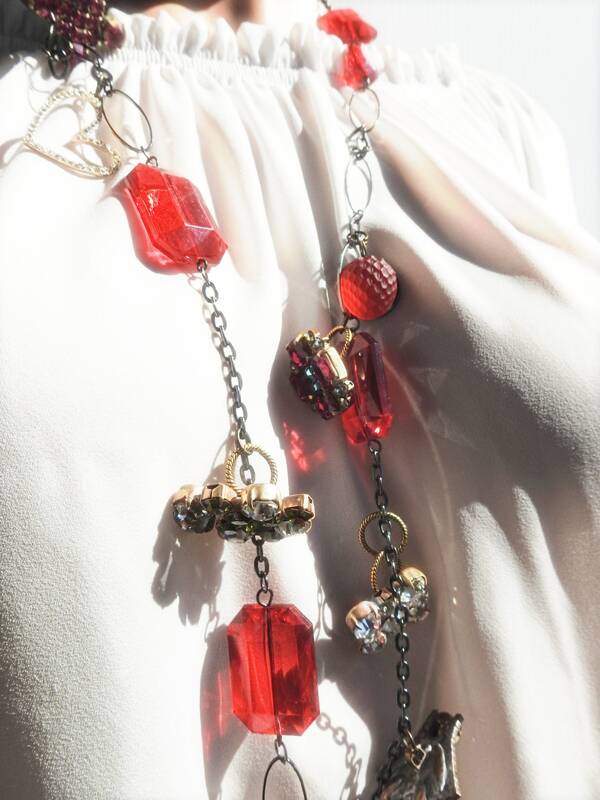 • Made in Canada with vintage jewelry pieces. Old buttons from Czech Republic. 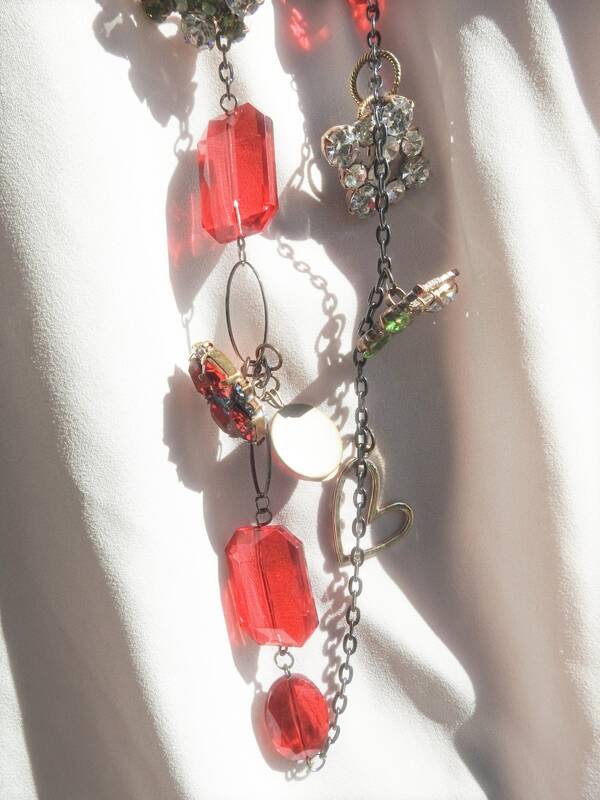 • Colors: Red ( between candy red and magenta) + hot pink, white and red buttons + with Strawberry charm and rhinestone hearts. Thank you for passing by! Please come back soon! 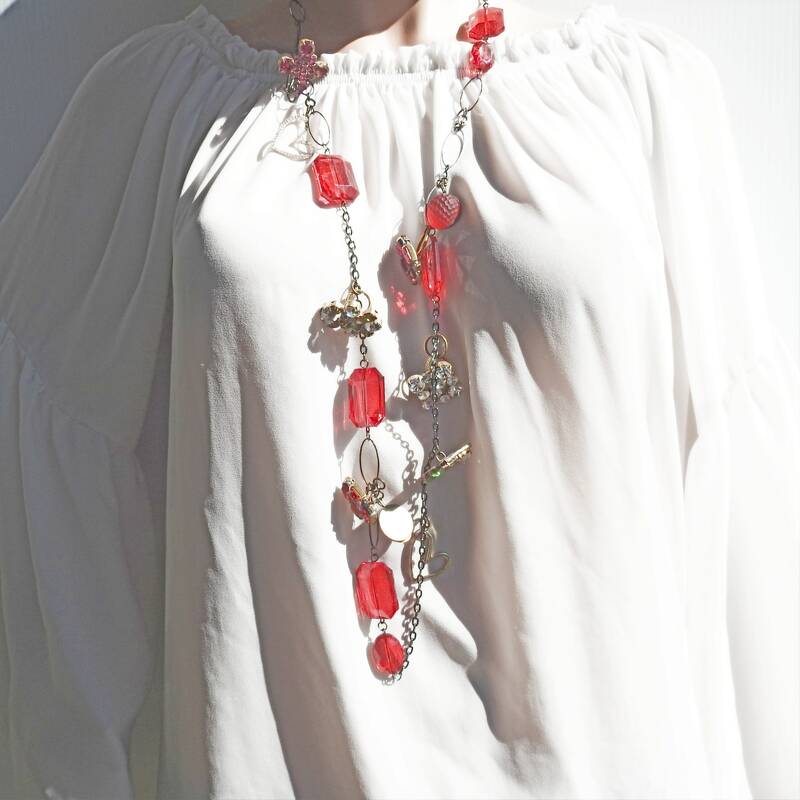 Thank you for exploring this boho red necklace with strawberry.